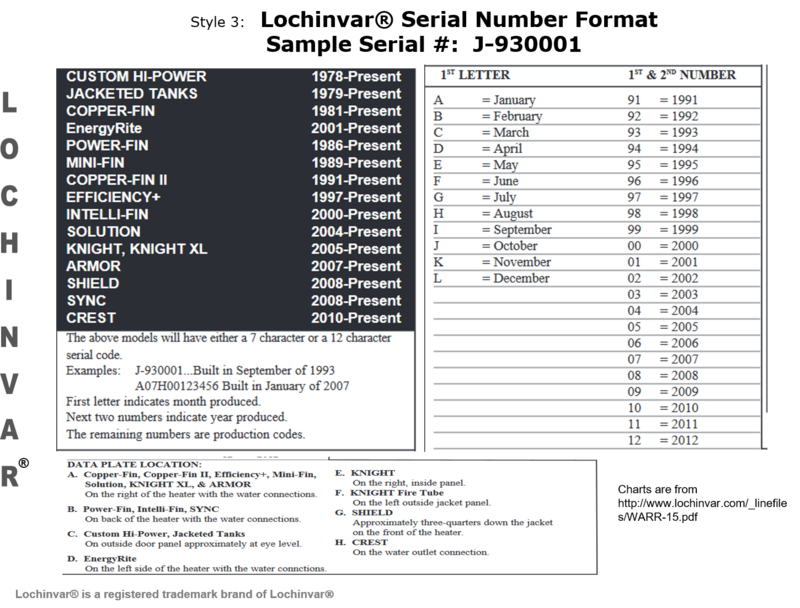 Brands include: Aquas – Armor – Cadet – Copper-Fin – Copper-Fin II -Crest – EnergyRite – FTXL – Knight – Knight XL – Lochinvar – Noble – Power-fin – Shield – Squire – SYNC and others. 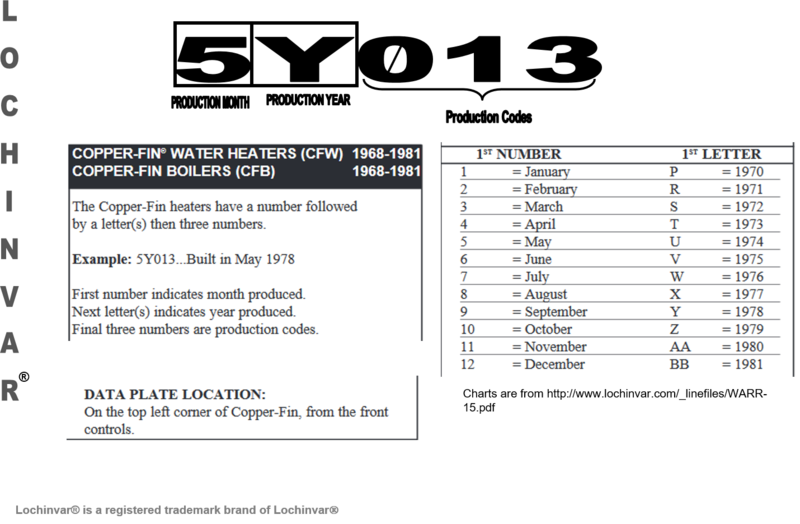 How to determine the date of production/manufacture or age of Lochinvar® HVAC and Water Heater Systems. 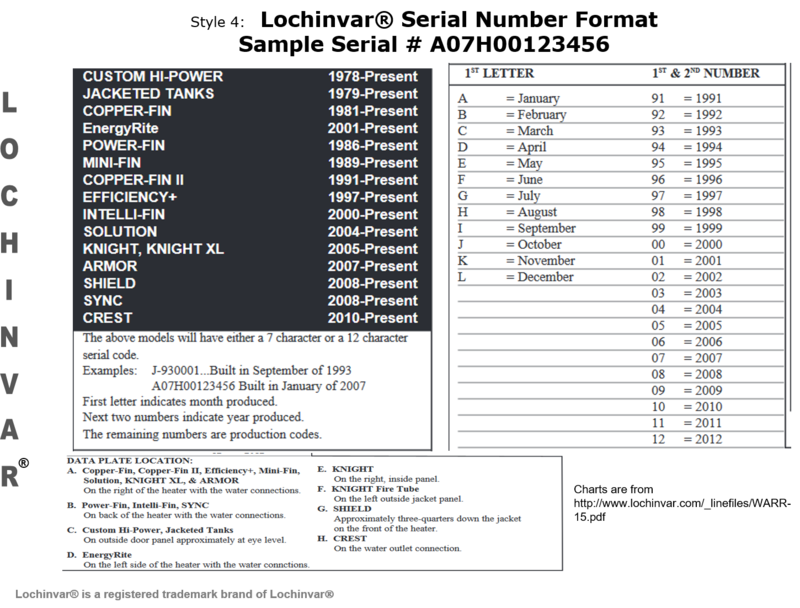 The date of production/manufacture or age of Lochinvar® HVAC equipment can be determined from the serial number located on the data plate. 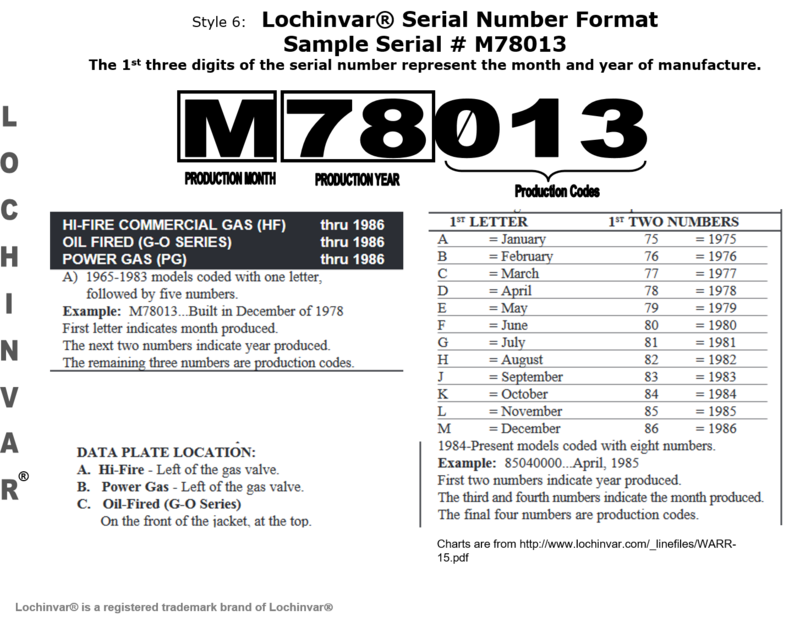 The Serial Numbers shown are utilized with all Lochinvar Brand systems of Boilers, Water Heaters, Pool Heaters, etc. 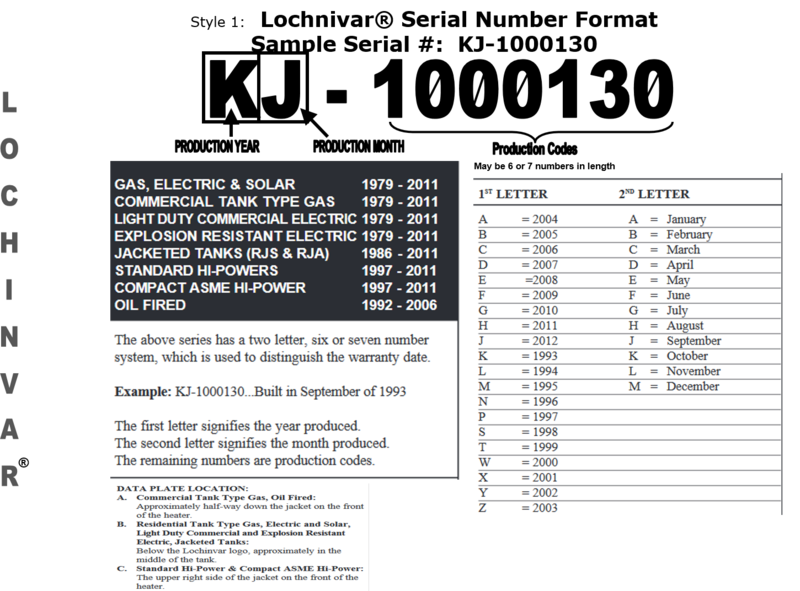 Year of manufacture can be determined by using the 1st letter digit. Month of manufacture can be determined by using the 2nd letter digit. 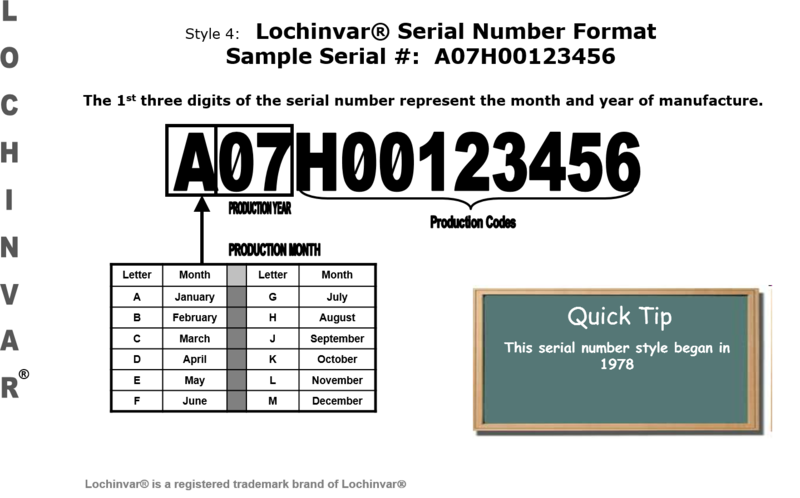 Year of manufacture can be determined by using the 1st & 2nd numerical digits. Week of manufacture can be determined by using the 3rd & 4th numerical digits. Month of manufacture can be determined by using the 1st letter digit. 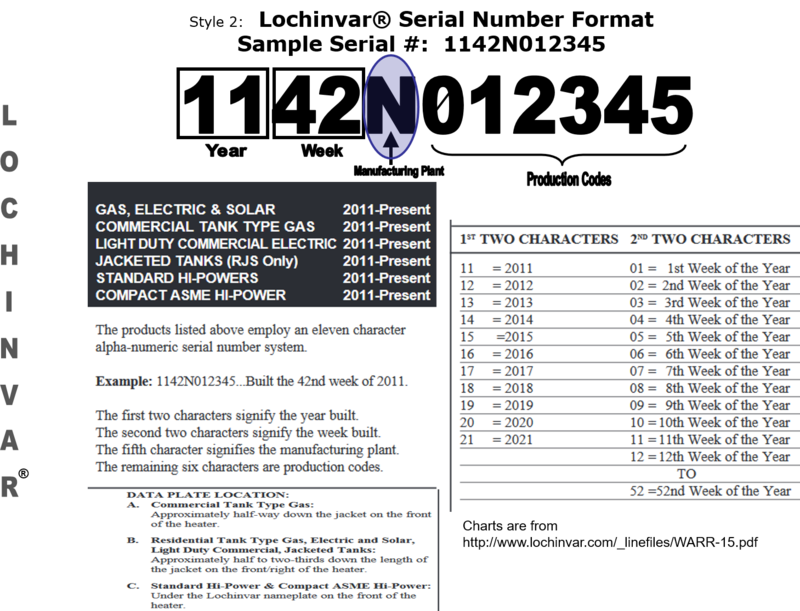 Year of manufacture can be determined by using the 3rd & 4th (the 2nd digit is a dash) numerical digits. 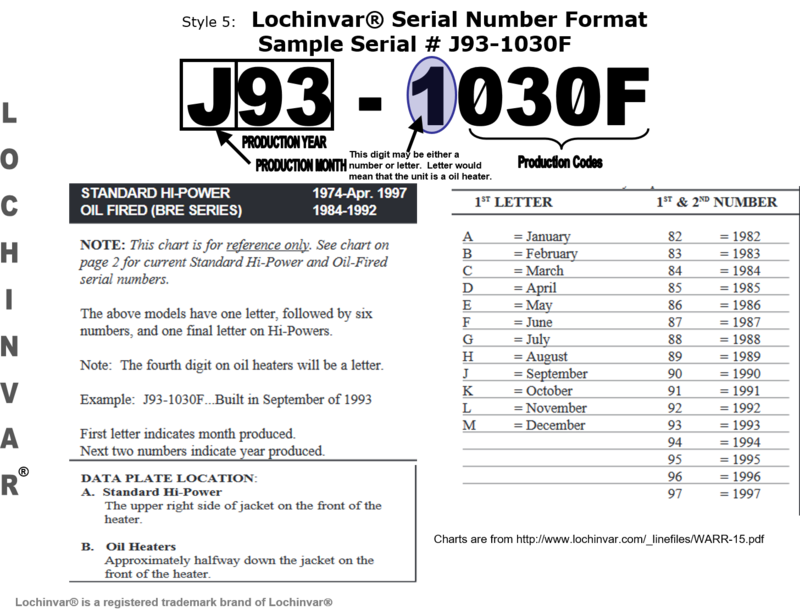 Year of manufacture can be determined by using the 2nd & 3rd numerical digits. 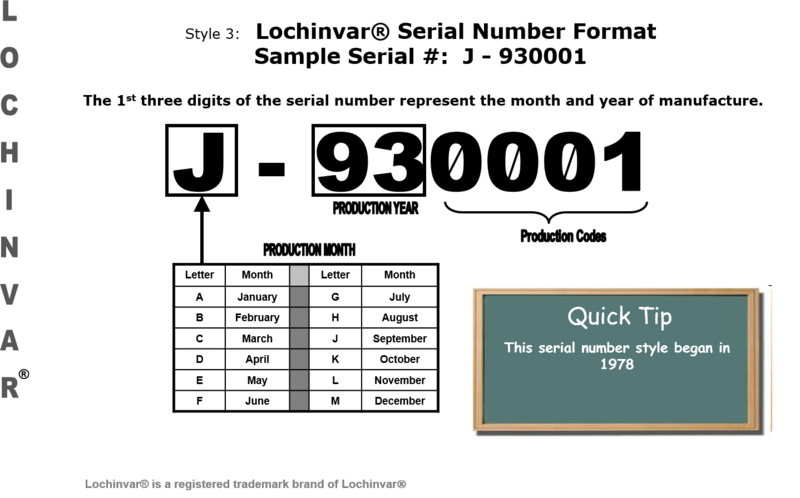 Month of manufacture can be determined by using the 1st numerical digit. Year of manufacture can be determined by using the 2nd letter digit. 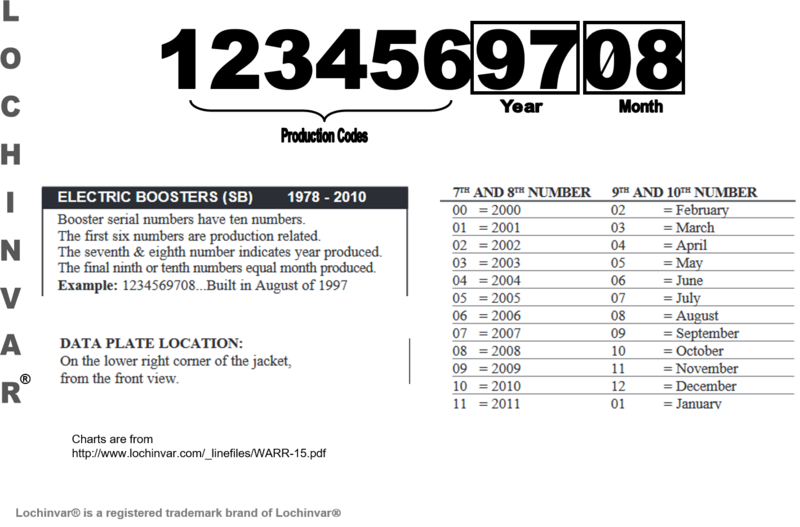 The last four digits of the serial number represent the year and month of manufacture.